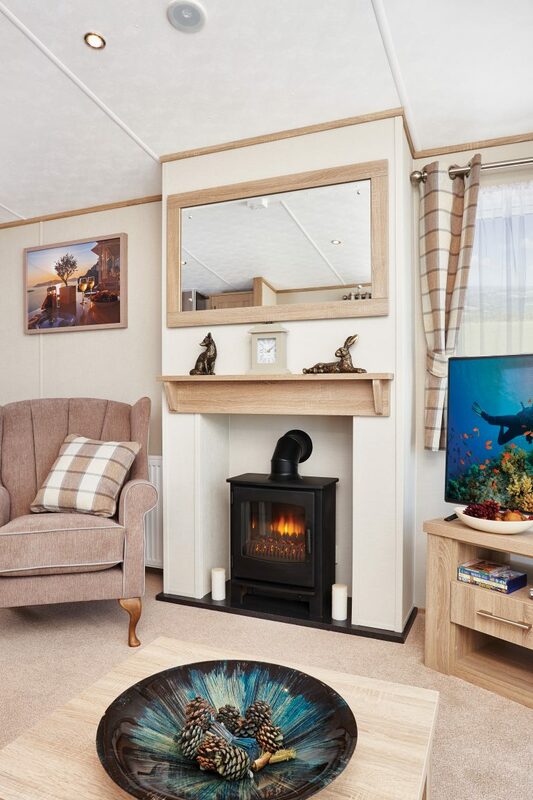 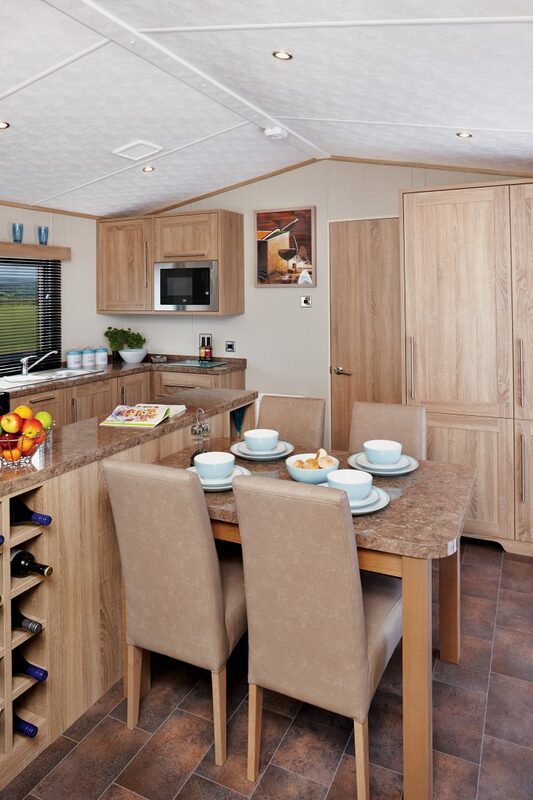 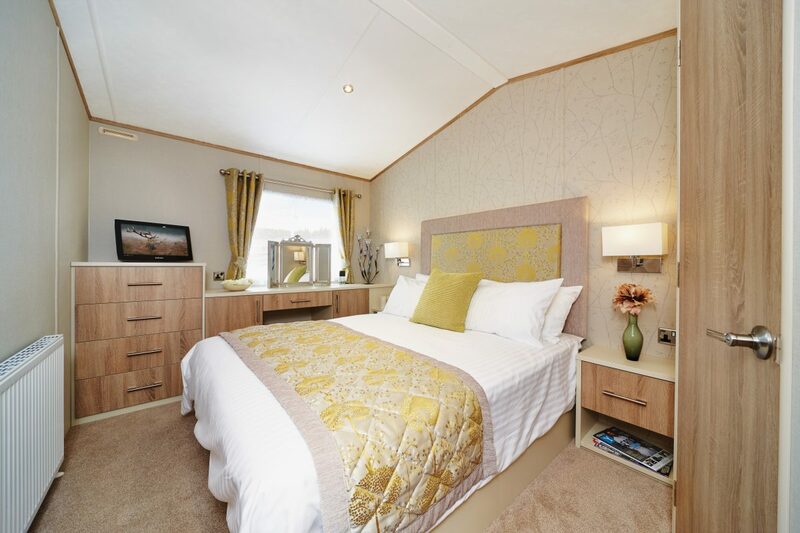 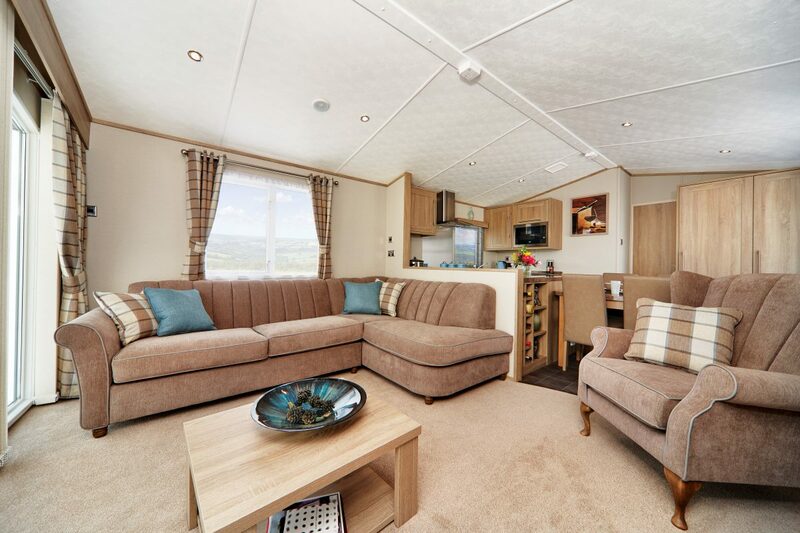 Spacious and welcoming, the warm tones of the unashamedly-elegant Helmsley Lodge offer a specification and value unrivalled by any other holiday home in this position of the market. 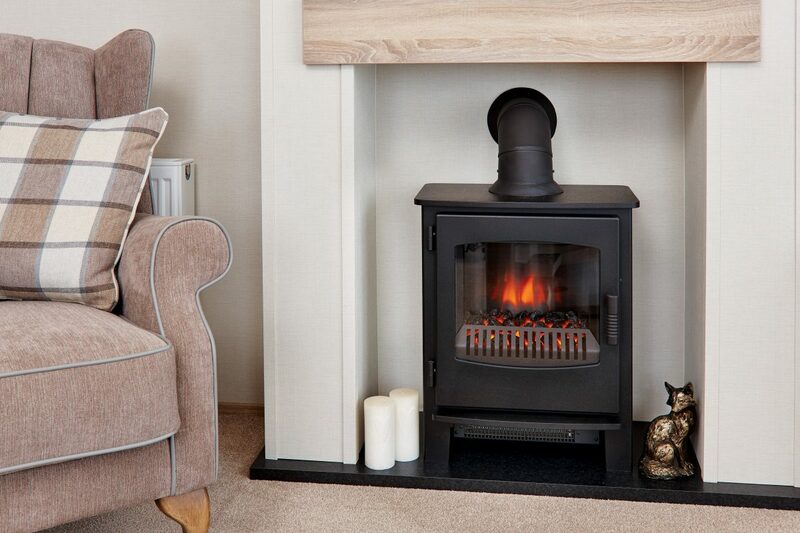 The brand new sculpted seating along with the Inglenook fireplace and mock log burner enhance the already class-leading Helmsley Lodge. 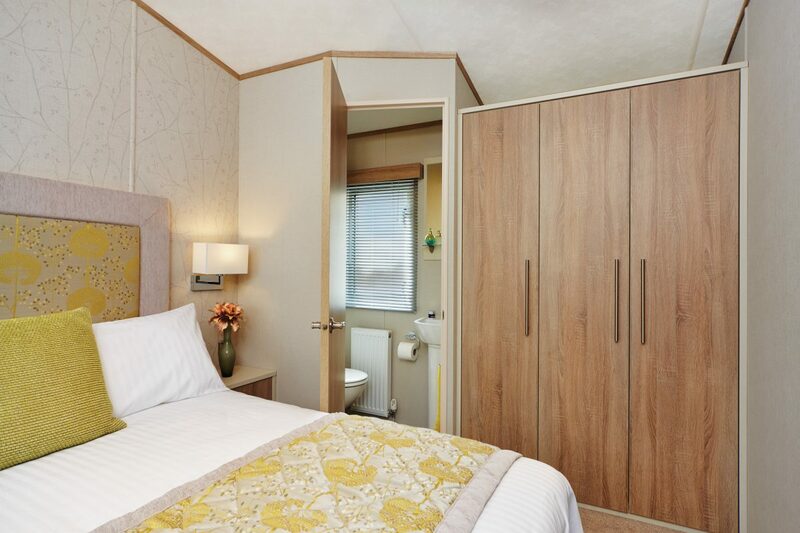 It has a classic interior that other lodges aspire to imitate. 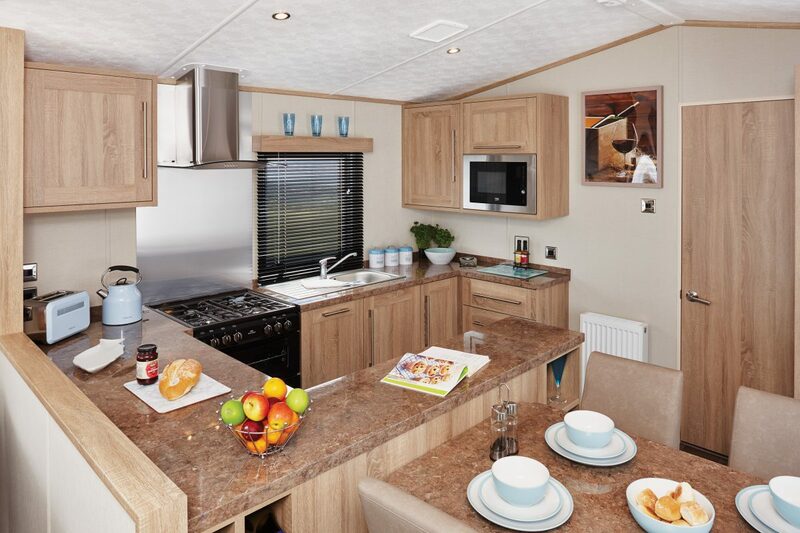 Built and finished to the highest standards throughout, the wrap-around kitchen and connecting dining area feature stunning high-gloss surfaces and domestic quality appliances. 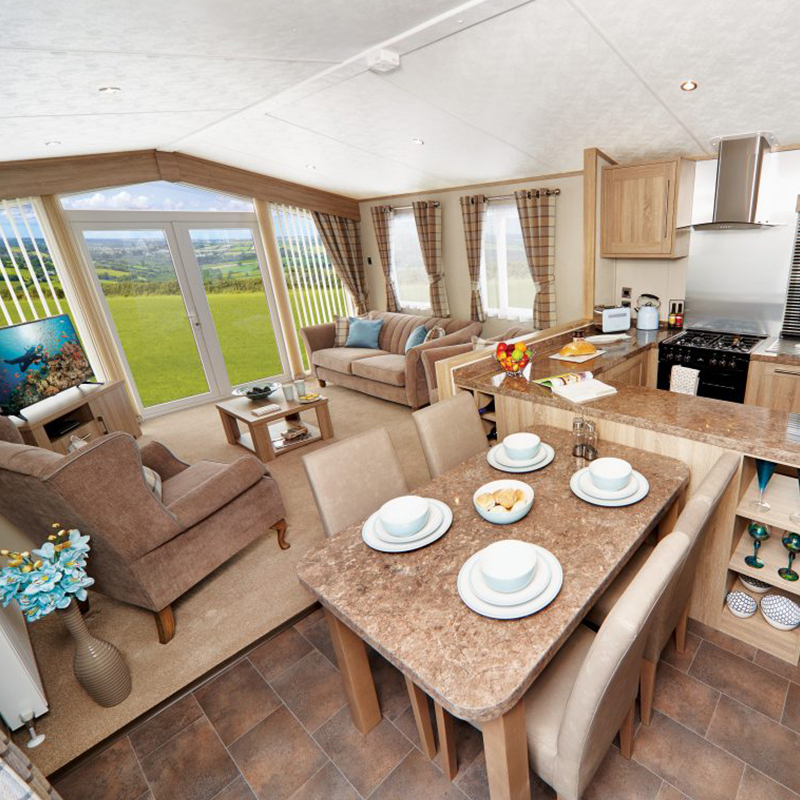 Customise the cladding of your holiday home.